Home card exchange cards Christmas Holiday Card Exchange Wrap-Up! Another holiday season in the books. The decorations are down, the house returned to its former glory. 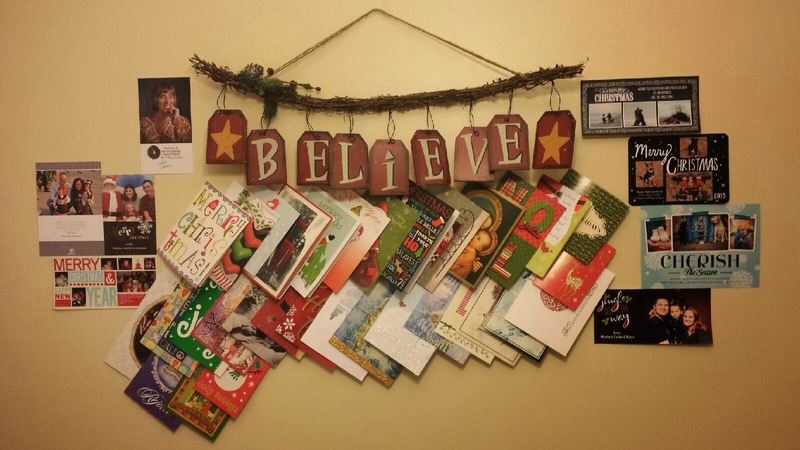 In a neat and tidy pile... you'll find my holiday card collection. I'm a card person. I don't try to hide it. Usually (aka when I am not pregnant) I send cards to friends and family for their birthdays, anniversaries and just because. So one of my absolute favorite parts of Christmas is getting extra mail in the mailbox. 6 cards to North Carolina. 1 card to New Jersey. For a total of 70 cards. 48 personal family and friends. 6 blog friends from my Holiday Card Exchange. 16 virtual friends from one of my military spouse support pages. Leave a link below if you shared your holiday card exchange.